We now have the clearest admission that Snapdeal’s investors are looking to sell the company. Rumours about a potential distress sale have been swirling in the media over the last few weeks, with reports of hectic negotiations between Snapdeal’s board members over the terms and conditions of a sale. Flipkart is the current frontrunner to acquire the beleaguered company, but this had repeatedly been denied by Snapdeal. But today, CEO Kunal Bahl mailed his entire team informing them of the latest developments. 2:25 pm on a Sunday afternoon is an unusual time to send an important mail, but its timing probably underscores the urgency behind communicating its contents. This is undeniable corporate-speak for an impending acquisition, but the mail will do little to reassure Snapdeal employees who might be uneasy about their jobs. An acquisition by either Flipkart or Paytm is likely to create hundreds of redundancies at Snapdeal, as the merged entity will look to rationalize job functions across companies. The mail, though, ended on a positive note, with Kunal Bahl talking of how Snapdeal will continue with its performance reviews and promotions, and claimed that Snapdeal’s employees will get a higher increment compared to last year. Snapdeal has been fighting to stay relevant in the Indian e-commerce space after ceding ground to Flipkart and Amazon over the last year. 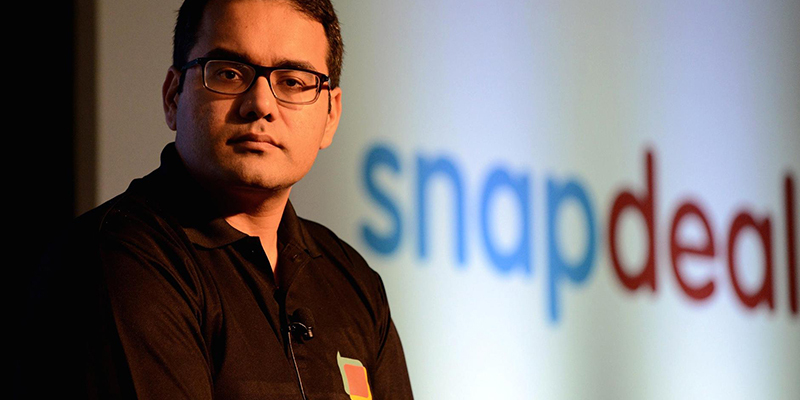 After having raised funds at a valuation at $6.5 billion in 2015, Snapdeal is now likely to be sold for around $1billion, with a recent report saying that Softbank was looking to buy the founders’ stake for $50 million. Given how Kunal Bahl and Rohit Bansal hold 6.5% of Snapdeal, this transaction would value the company at just $800 million, which would be a greater than 85% cut in its valuation over two years. With the Snapdeal founders now saying that the fate of the company is essentially out of their hands, Snapdeal has become the second Indian unicorn to be essentially controlled by their investors. Earlier, both Flipkart founders had stepped aside from the CEO role at the company, and Kalyan Krishnamurthy from Tiger Global, which is the largest investor in Flipkart, had taken over.